Renato Belusic the founder, and owner, of The Drum Studio is also the studio's main drum instructor. Renato has played with many bands, and some of the styles of music he plays include classic rock, blues, alternative, reggae, jazz, country rock, ethnic, big band, and much more... Renato is also actively playing in-and-around the London, Ontario area. When Renato is not busy teaching his students how to excel at playing the drumkit, he can often be seen supporting them at their various concerts, shows, and gigs. Renato is a member of the American Federation of Musicians and the Canadian Federation of Musicians. 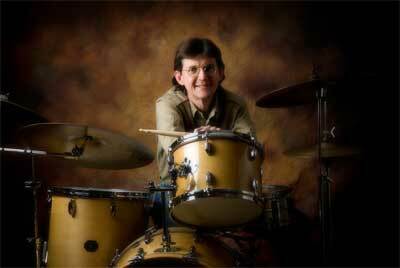 Brendan Douglas, The Drum Studio's youngest instructor, has played the drums on numerous CDs, has toured North America and is actively playing shows in-and-around the London area with various bands. Brendan, who has been teaching at the Drum Studio for 10 years plays punk, heavy metal, blast beats, ska, alternative, double kick and more... Brendan is our distributor of Los Cabos drumsticks. Jay W., who is endorsed by Peace Drums out of California, is somewhat unique in that he is a left-handed drum instructor that plays in many styles including rockabilly drumming. 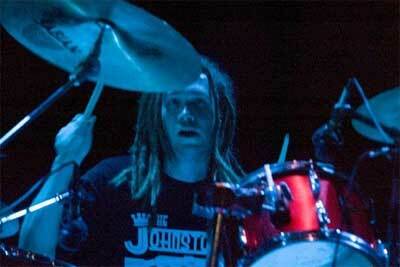 Jay has played the drums on numerous CDs and toured Australia, Japan and North America with his band. Jay, along with his band, has also appeared on national television. The Drum Studio has many students who are involved in the music scene in London. In fact, our students can be seen, and heard playing the drums in high schools, clubs and theatres all around London. We're also very proud to have some of our students enrolled in the music program at the University of Western Ontario, studying for their masters and doctorate degrees.